Linda McMahon answers a question at her Senate confirmation hearing. 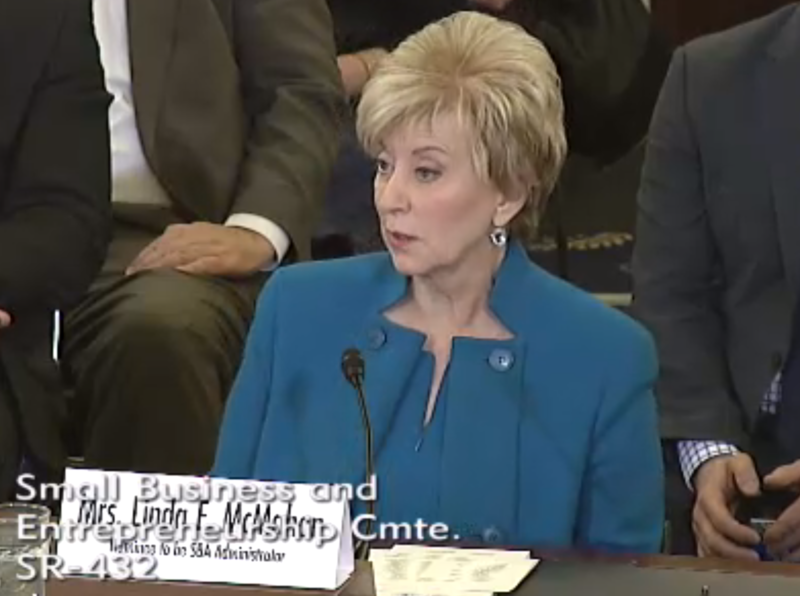 Washington – Despite a lack of government experience, World Wrestling Entertainment co-founder Linda McMahon was easily confirmed by the Senate Tuesday to head the Small Business Administration. More than half of Senate Democrats joined Republicans in the 81-19 vote for McMahon’s confirmation. Before the vote, Senate Majority Leader Mitch McConnell praised McMahon, who ran twice for U.S. Senate unsuccessfully in Connecticut. Sens. Richard Blumenthal and Chris Murphy – who each defeated McMahon when she ran for the U.S. Senate – introduced the nominee at her confirmation hearing last month, helping to quell concerns among Democrats about the WWE’s hiring practices and use of contract workers who are not covered by health insurance. “As I’ve said before, while Linda and I haven’t always seen eye-to-eye, I look forward to working with her to help small businesses in Connecticut,” Murphy said in a congratulatory statement Tuesday. “That dynamic was at play at McMahon’s confirmation hearing where not one, but two of her former rivals introduced her, Senators Blumenthal and Murphy, both of whom ran very spirited campaign’s against Mrs. McMahon and both of whom defeated her, actually testified to her passion for small business and her qualifications for this new responsibility,” Shaheen said.